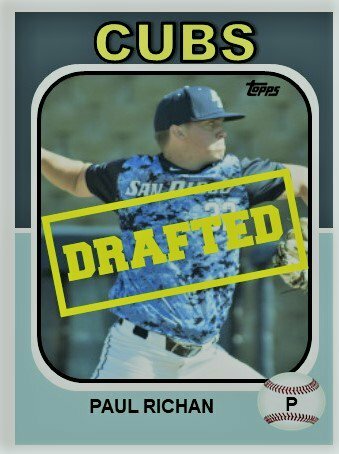 The 21-year-old right handed pitcher from The University of San Diego was known for his makeup, competitive fire, worth ethic, and, of course, his pitching. It was during his sophomore season that Richan began to be noticed. He made 11 starts and relieved in 7 more. In total, he threw 76.2 innings with 73 Ks and just 21 BBs. 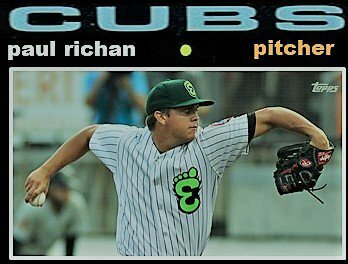 With a 3.05 ERA, Richan was known for throwing in the low 90s, sometimes topping out at 94-95. But it was his ability to throw strikes that endeared him to the Cubs front office. His junior year was not as successful. A 4.62 ERA probably doesn’t tell the whole story, but the hallmarks of his pitching are still evident. In 89.2 IP, he struck out 101 while only walking 13. HIs WHIP was a respectable 1.25. Because of his previous workload in the spring, Richan is limited in his pitch count and innings limit with Eugene. So far, he’s thrown just 22 innings in 8 games, 7 of which he has started. The stats and ratios he exhibited at San Diego are eerily similar to what he is putting up at Eugene. He’s struck out 25 and only walked 5. He throws in the upper 80s and low 90s at Eugene, but is extremely effective in doing so. Opponents are only hitting a measly .160 off him and he has an outstanding WHIP of 0.77 in Eugene. His ERA is currently 1.23 with a FIP of 2.65. He’s been pretty dominant. Last week, he made a four inning start and did not allow a run as he struck out 5 and did not walk any. He’s thrown 301 pitches in short season ball this summer and 210 of them have been strikes (70%), which is a fantastic percentage. At 6’2” and 200 lbs., Richan sits tall on the mound and comes with an over the top delivery. The angle that his fastball comes in makes it very hard to square up with a wooden bat. He controls that pitch, but it is not his best. I just love his 12-6 curve. It is a definite plus pitch and hitters in the Northwest League have had trouble even fouling it off. He also throws a changeup that is starting to take shape. Richan will be at South Bend next year. 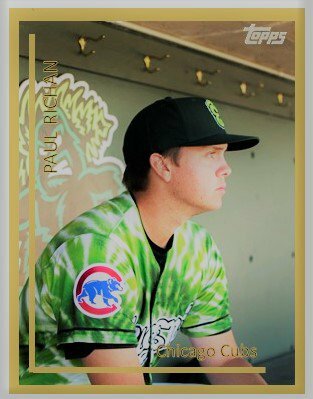 He is one of the few starting pitchers you can pencil in to begin the year in the Midwest League. He should do well there with his ability to pitch in the zone and miss bats. The questions about him will come when he gets to Myrtle Beach and high class A. Will his velocity return? Will he have 3 good pitches to throw for strikes? Then again, I better not get too far ahead of myself and just enjoy him doing well at this level. I am excited to see him make a couple more starts the next two weeks and in the playoffs as I like how his pro career is trending. He has not allowed an earned run since July 20, and he’s only given up 5 hits the last month.